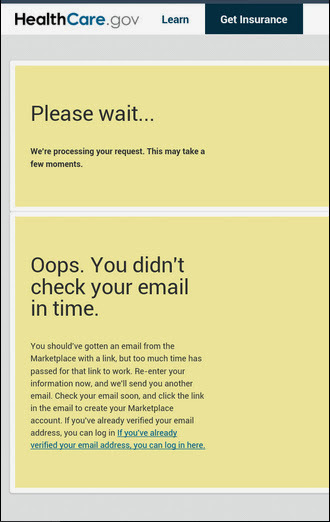 Healthcare.gov took over 3 hours to send me an account activation email. (Their phone support told me to wait 3 days for the email.) Then, when I receive it, they blame me for not being quick enough. And, it seems they expect me to request another email and then sit by my computer refreshing my inbox for hours (or even days) so that I can immediately respond to their automated email when it arrives.